Check out this years Fandemonium Vendors Hall. Whether you are a Dealer or an Artist our new Universal Vendors Hall is the place for you. If you are interested in vending at this years event please scroll down and click on the "Request a Vendors Space" link below. With the move of Fandemonium to the Wyndham Garden Boise Airport Hotel, we have created a unified Vendors Hall for both dealers and artists to share. We believe this will drive up sales for both artists and dealers alike. Spaces are limited, so make sure to fill out the form below to request your dealer's space as soon as possible! Purchase of a Vendors space includes an optional 8' by 30" table and chairs. Spaces against the wall include 4' of space behind the table. Center island tables contain a 6' shared space behind tables. To purchase Vendor space(s) $40.00 each (up to a max of two), you must purchase at least one vendors pass at $30.00. So a single vendors space and pass = $70.00, two spaces and a pass = $110.00. You can of course buy extra vendors passes for your booth assistants at $30.00 each. You will purchase both your vendor pass(es) and space(s) at the same time through the vendors agreement. Please Note: That you will not be paying for your vendors space at this time. You are only submitting a request for a vendors space and selecting how you would like to eventually make your payment for the space. Ready to get started? Click the link below and fill out and submit the form it directs you to. All requests are processed on a first come, first served basis, so don't delay! Once all vendors spaces are full all remaining interested vendors will be added to the wait list. You should receive a reply from us within 72 hours after you submit your vendors space request. * To purchase Vendor space(s) $40.00 each (up to a max of two), you must purchase at least one vendors pass at $30.00. So a single vendors space and pass = $70.00, two spaces and a pass = $110.00. 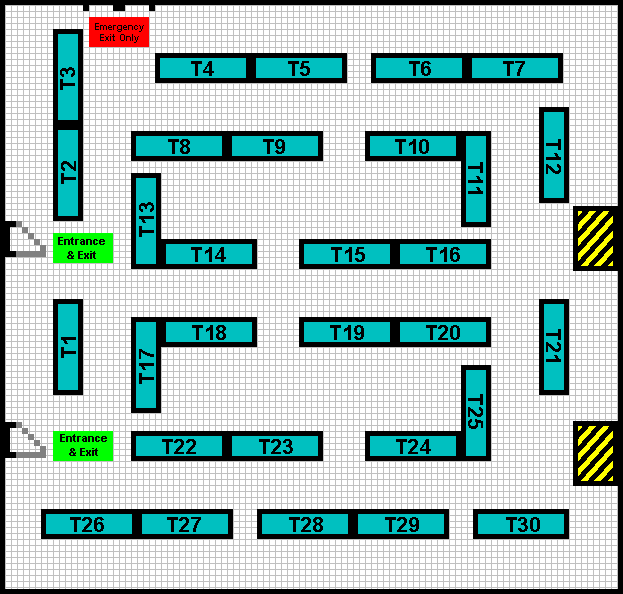 You can of course buy extra vendors passes for your booth assistants at $30.00 ea. You will purchase all of these at the same time through the vendors agreement. ** When you have completed your request, you will see an error at the top of the page that says 'could not instantiate mail function'. No need to worry, its not going to affect your submission.